Two button, single breasted styling with a non-vented back. 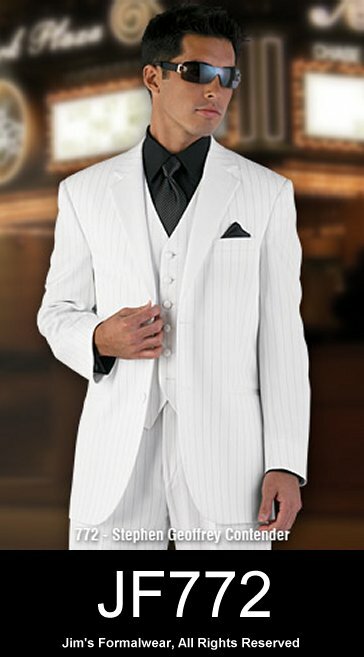 Finely tailored of a subtle white pin stripe fabric. Notch lapel, double-besom pockets and satin covered buttons.